George Washington turned into a pioneer early in life. Who Should Read “George Washington on Leadership”? And Why? 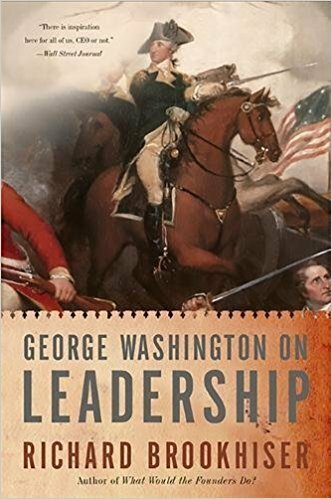 “George Washington on Leadership” is a fascinating book, loaded with entertaining, well-written stories. However, the narrative wavers once in a while. For instance, the opening part praises Washington’s foresight for introducing restrooms in his troopers’ camps, a practice routinely done by the Roman Army’s officers over 2000 years ago. In spite of such little blunders, Brookhiser incorporates numerous captivating stories into his book and shows how Washington turned out to be such a signiﬁcant leader. Additionally, he conveniently interprets scenes from Washington’s life into administration lessons for the present day managers and leaders. We recommend this history-based examination Washington’s life, to anyone who is willing to learn a thing or two about leadership. 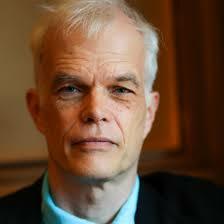 Richard Brookhiser is an author, historian, journalist, and biographer. He is the senior editor at National Review and a National Humanities Medalist. He has authored What Would the Founders Do? as well the widely read biographies of Alexander Hamilton and George Washington. At 21, he was dispatched to the local army, where he made a prominent, memorable career as an ofﬁcer before he left the military. In 1761 he inherited the Mount Vernon farm, a vast 2,500-acre of land, where he produced tobacco, which was the main cash crop in Virginia. He supervised 300 workers who lived and worker at his estate. Tobacco is a specific plant which demands the full attention of farmers. If you do just one thing incorrectly and the harvest will be gone. So, he had to be fair, yet tough boss, that ensured that his employees worked as much as they needed to each day. As a good leader, he knew whether his workers are efficient and productive and whether they maintain the quality standards he had imposed. At the point when the cost of tobacco declined in 1766, Washington reacted quickly and planted his fields with corn, buckwheat, and other plants. He stayed ﬂexible and was ready to adjust whenever a change was required. Washington did strikingly well as a farmer, as a land proprietor and investor. He lived his life, eventually turning into the wealthiest man in America and the first president of the United States. Washington’s life can be seen as a lesson in the essential nature of leadership, showing you what leadership is, the things it involves and what it requires. As a military general, landowner and president, Washington always cared about details and worked hard in every area of his life, including his appearance and demeanor. He was naturally tall and looked impressive. However, he did not owe his impressiveness to his good genes only. Being intensely visual, he cared always to be well dressed, to look and to be strong. He was physically tough and athletic. Neither men nor women could resist his charm. Washington ensured to put his attractiveness to his advantage in each moment in his life. People admired him because they always respect leaders who are physically firm, and who look put together and professional. Washington motivated people by setting an example, by his brave and frank nature, and by the way, he addressed them. He was not a brilliant writer, but he knew how to communicate his points on paper. As a leader, he did a lot of ofﬁcial and unofﬁcial writing: correspondence to Congress, state governors, different ofﬁcials, as well as numerous orders to his workers, ofﬁcers, and troops. He depended on young ofﬁcers hired his staff to help him. They could deliver Washington’s musings and ideas since he was a reasonable and sensible thinker who never faltered to communicate his thoughts. Leaders have to be good and clear communicators. Furthermore, as a military leader, Washington had an adroit comprehension of human psychology. Great leaders can find the correct words to empower and motivate their troops. To be a decent leader, you should have the ability to inspire those who follow you. Leaders do not need to be likable to be viable, yet being loved and cherished surely doesn’t hurt. Washington’s formal education ended in his mid-teens, a fact that always bothered him. He thought that he is a man of inferior education. So, throughout his life, he continually worked on improving himself and gaining a more profound knowledge of more things. He read a lot: he read Seneca, Julius Caesar, Edward Gibbon, Voltaire and John Locke. Aside from studying classical literature, he read broadly about agriculture and farming practices. A smart leader never stops learning. John Adams succeeded Washington as president. Washington was not associated with picking Adams as VP or as America’s next president. Notwithstanding, Washington provided a significant support of his successor: He remained good and gone. He realized that he was not irreplaceable. Nobody is. A good leader knows that and he knows when the time has come to step down and let others take the lead.